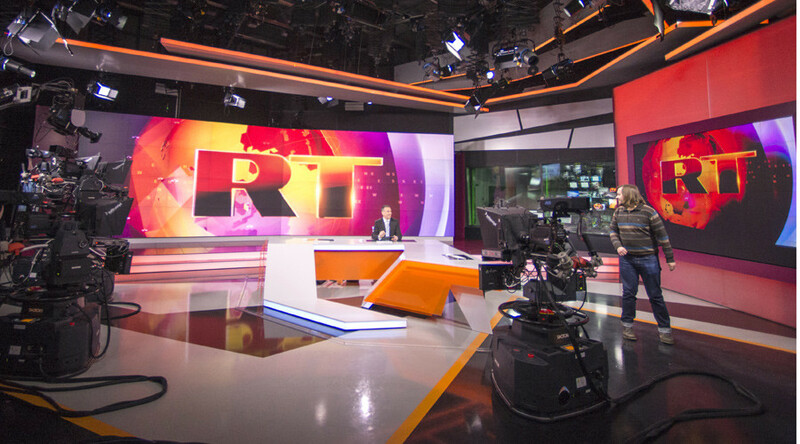 It will come as no surprise to anyone that a watchdog set up to hound mainstream UK broadcast media finds RT’s output difficult to deal with. 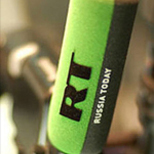 Doubtless today’s Ofcom rulings will see other media outlets relishing RT being brought to heel. But anyone who takes the trouble to look at the detail will see such outlets are on very flimsy ground. Not only does Ofcom concede that RT has a mission to bring valuable diversity of perspective, the watchdog also makes clear that its musings on ‘Ukraine’s Refugees’ - one of the shows found to be in breach of the Code - are not the result of a complaint from any our many viewers. In fact, Ofcom took it upon itself to complain after “routine monitoring” of RT. Personally, I am delighted that the program gave a voice to those caught in the violence that would otherwise have gone unheard and unmentioned by mainstream media, which has been steadfastly supporting the post-coup government in Kiev. I’d also note that Ofcom’s attention is not always misdirected. Does anyone remember what they came out with before the incumbent, Sharon White, took the reins? A four-year inquiry by Ofcom, the results of which recently became public, uncovered nearly 50 breaches of statutory regulation by mainstream channels the BBC, CNN and CNBC. Thanks to Ofcom we know that these outlets had been screening politically-lobbied content without informing viewers. As usual, there is a background to today’s stories that you may find goes unreported elsewhere. Dodgy editorial procedures from the BBC, CNN and CNBC aren’t as good a story as RT being ‘guilty’. Mainstream transgressions are forgotten as soon as they are revealed. The Independent, which so brazenly referred to the BBC’s Code-breaching content as “propaganda” in a headline in mid-August, had already blissfully moved on when reporting on the Corporation’s plan to expand its foreign broadcasting barely a fortnight later. Does anyone seriously think that big UK broadcasters adequately report on those opposing mainstream political opinion? That’s why so many BBC journalists were taken aback when UKIP and Jeremy Corbyn appeared on the scene. Needless to say, the mainstream Scotsman newspaper duly ran a report that he shouldn’t be criticizing the BBC on RT – as if RT, the internet’s favorite television news station, should be boycotted as part of a UK mainstream McCarthyite witch hunt against the channel. Meanwhile Corbyn, who had just won Labour’s leadership in a landslide, was summarily branded by the UK press as the Kremlin’s “useful idiot” for criticizing Western interventionist policy on RT – in an interview in which he mentioned Russia not once. License-Fee payers were duly ordered to stump up hundreds of thousands of pounds for BBC failures. Thanks to Ofcom, the whole thing ended up costing mainstream channels more than £11 million (now US$17 million) in 2008. But when it comes to political controversies where the UK government is following US State Department policy, things are a little different. There are almost too many mainstream UK TV reports to choose from when it comes to proving the double standards of Ofcom over the politically-contentious issue of Ukraine. Have a look at these links for proof that there is no room for balance in news reports if you work at the BBC, ITN or Sky. You can also see just how “impartial” their coverage of Ukraine is here and here. But that side of the story was absent from scores of mainstream broadcasts which it seems Ofcom decided not to watch or ‘monitor’. Ukraine, though, is not the only tragedy we should be focusing on. The Syrian refugee crisis was caused by destabilization of the Middle East by Western powers. Do you see reporters telling you that side of the story when they file reports on refugees? Could it be that without this context, mainstream journalists are, yet again, softening up public opinion for war? Today, establishment media is no longer reporting on WHY there are refugees – merely that there ARE refugees. There is a terrible irony here as they skirt standards of impartiality. Broadcasters are, in effect, using the tragedy of dead children washing up on beaches to prepare the public to support a war that will lead to more dead children washing up on beaches. If Britain and the US deploy their troops to depose President Assad of Syria it will be a part of a broader interventionist strategy. That’s why reporting needs to be accurate and more balanced on Syria and Ukraine – so that Americans and Brits can decide for themselves on the evidence whether military action is warranted. RT will show both sides of the argument, but - more importantly - give you the other side of the story, the one you’d be hard-pressed to get from the British or American MSM. Then you can make up your own mind. One of the world’s greatest journalists, John Pilger, expressed his fear on RT’s Going Underground that the embrace of elites and media on the issue of Ukraine is pushing the world towards nuclear war. It is a concern shared by the ‘Bulletin of Atomic Scientists’ which moved their Doomsday clock closer to midnight as Obama officials engineered the coup d’état in Ukraine. What’s needed now is an urgent conference involving journalists, unions and NGOs to fight censorship in Britain. It must not involve compromised NGOs such as Index on Censorship, the Committee to Protect Journalists etc., who have proved time and time again to be one-sided about censorship. It should implore Ofcom to uphold the principle that news, in whatever form, must be reported with due accuracy and presented with due fairness to all positions, not just the ones belonging to the foreign policy establishment. On a personal level, I almost empathize with Ofcom’s position. It is understandable that, fed on a constant diet of mainstream UK media, they might find it hard to digest RT. I hope, in time, they will join the hundreds of millions around the world who tune in to watch RT on TV, YouTube and online in appreciating journalism that gives a place to those who are, too often, robbed of a voice.